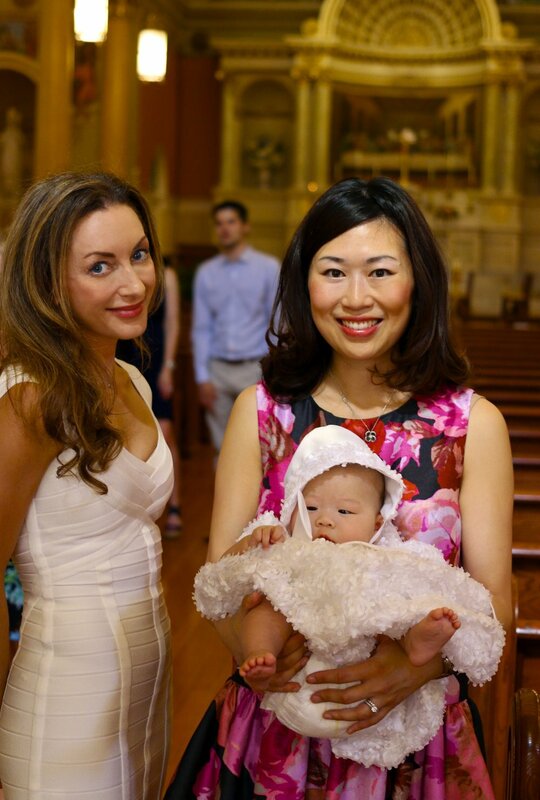 Grace Lee, MD is not only an amazing oculoplastic surgeon but a fantastic new mom (to my adorable goddaughter, Evangeline Bomee) who has always had a keen sense of style. 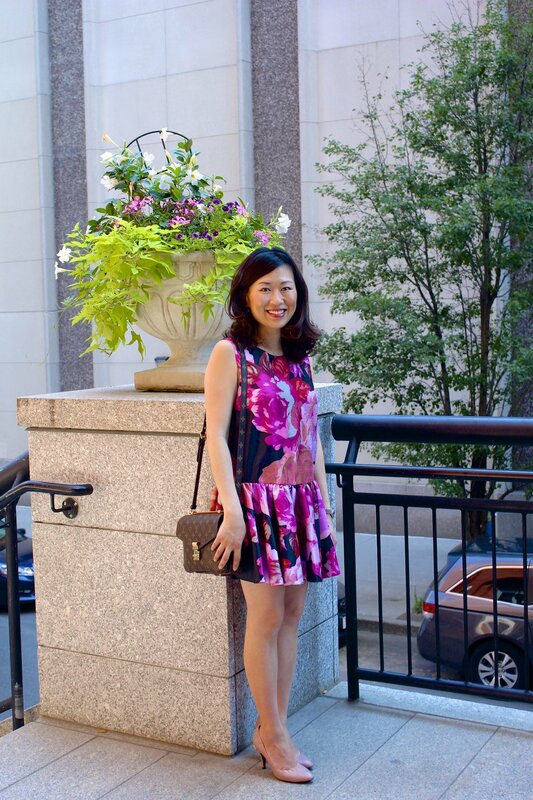 She loves color and pattern and layers well -- given that she works in Boston at the Massachussetts Eye & Ear Infirmary layering is a must! Here Grace highlights her pretty Sunday style in a Geneva drop waist dress by Cameo, Guccissima leather pumps and a LV pochette metis bag. Eva's Kate Spade party dress coordinates perfectly but she was singing 'It's my party and I'll cry if I want to' -- no fear with a mom like this she will surely be a fashionista in no time. Fashion tip for new working moms? "My style really hasn't changed since becoming a mom (except for a few, nursing-friendly shirts and dresses). Your body goes through such a huge transformation after having a baby that it's important to wear clothes that make you feel confident. If that means you show a little leg, so be it! Being a mom doesn't mean you have to cover yourself up!" Love this message of being proud and confident in your own skin!